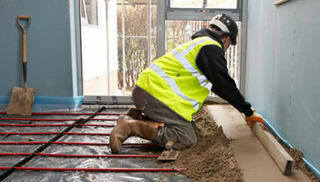 If you are looking for the right floor screed product for your construction project, browse Marshalls' extensive range. 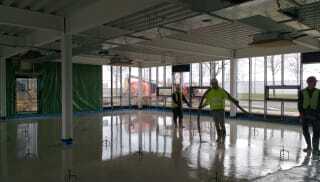 As well as traditional screeds, we offer fast-drying screeds, thin-layer screeds, self-bonding screeds, heavy-duty screeds, tile-bedding screeds and fibre-reinforced screeds. For a fast-drying floor screed mix, try performance product Premier Screed, which contains polypropylene fibre-reinforcement for strength, or rapid-drying semi-dry sand and cement Advance 5 Screed. 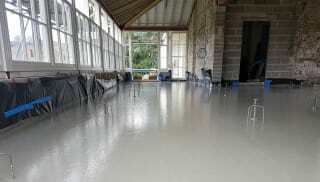 Thin-layer ptions include self-bonding Polymer Screed, which gives high performance at reduced thicknesses, and Premflow, a free-flow, pump-applied screed, which is made with an anhydrite binder instead of cement for easier, faster laying. For heavy-duty applications consider Premier Screed HD, which has been developed specifically for industrial and commercial use. For a fibre-reinforced concrete floor screed, try Premier Screed or Fibre Screed for enhanced durability and reduced shrinkage. 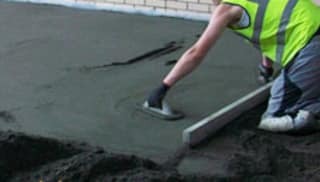 Browse the full range now or talk to a member of the Marshalls team so we can help you identify the right floor screed mix for your requirements.